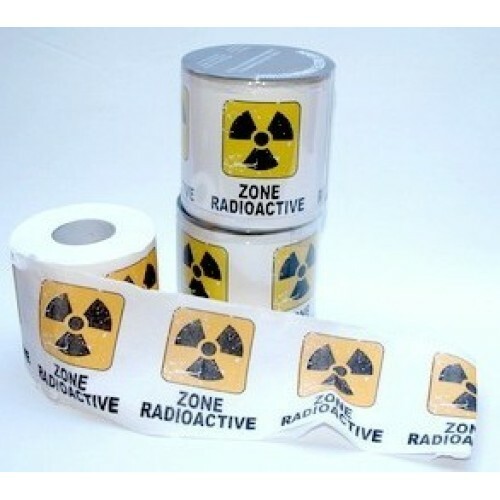 French 'Zone Radioactive' Toilet Paper - YES - really!! Yes, folks - you heard it right! Having found these on a trip to France, we caused great confusion at Toulouse Airport's (Two Loos: geddit?) security gates when bringing these home! We guess they can be used, but these would be a fun item in any bathroom as well as a great gift idea for that hard-to-buy-for person in your life!